Last night I was getting a haircut, and there were banners on the salon walls promoting Shark Week. [Weirdest marketing tie-in ever, by the way. Makes about as much sense as seeing an advertisement for patio furniture in Red Robin.] Sitting there, staring at a poster of Jaws, I wondered who the genius was that decided Shark Week should take place in June. The first movie I ever saw in an actual theater was Jaws, back in the 1970s. Fortunately we lived in Ohio at the time, so there were no oceans within 1,000+ miles. Good thing, because for the next two years I shied away from every large body of water I came across. Which is exactly my point: watching sharks kill people sort of makes people want to avoid going swimming. It’s June. Summertime is synonymous with the beach. If it were up to me, Shark Week would air in the middle of December, when any self-respecting large body of salt water is about the same temperature as the inside of a refrigerator. The original intent of Shark Week, when it premiered in 1988, was to promote conservation efforts and help correct misconceptions about sharks. Nowadays it’s a bunch of sensationalized dramatic fiction like Lair of the Mega Shark. Even the actual documentaries are pretty lurid, though. I don’t think Blood in the Water or Wrath of a Great White Serial Killer are going to have people clamoring to take a dip anytime soon, you know? Hence my midwinter plan. Too bad nobody ever pays attention to me. 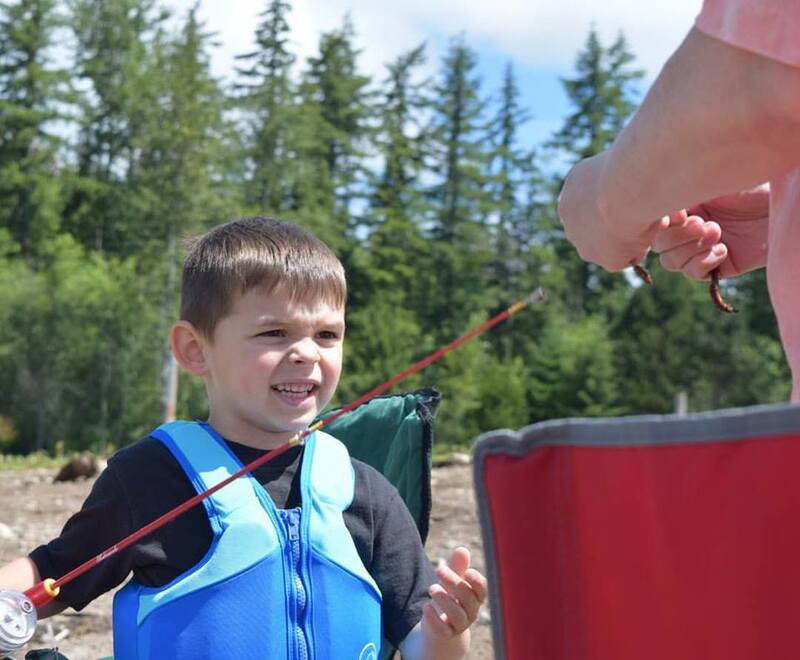 Last Saturday, we drove up to Alder Lake, north of Mount Rainier, to meet up with Anne and Anthony for the day. On the way there, I convinced Tara we should listen to Hamilton. This was my third time through, and it just keeps getting better and better with each repeat listen. Tara liked it, but I wasn’t sure at first because she said it was “interesting,” which is often a polite way of saying you’re not really into something. It’s like when you are setting a friend up on a blind date and you tell him the girl “has a nice personality.” 9 times out of 10, that phrase means she’s ugly. Fortunately in this case my wife meant “interesting” in the literal sense, in that, she found it “engaging or exciting and holding the attention or curiosity.” She said the songs were catchy and clever, and she’d like to listen to it again and see an actual stage production someday. Whew! Anyway, the weather was perfect that day – low 70s, sunshine, fluffy white clouds, a breeze blowing off the lake. We did a little fishing (but didn’t catch anything), might have broken a few open container laws in the park, and grilled hot dogs. Oh, and at one point Anthony said he didn’t want to go in the water because he was afraid of sharks. Sunday was a much more laid back day. One of my coworkers was raving about the movie Prometheus and loaned me her BluRay copy a few weeks ago. I was like yeah, sure, I’ll watch it. Someday. Maybe. Well, every time Monday rolled around she’d ask me if I’d seen it yet and what I thought about it, so after briefly considering fake-watching it – surely Google would help me come up with a few coherent talking points should we engage in a lengthy conversation over the merits of the film afterwards – I figured I might as well actually just watch it. This turned out to be a surprisingly good idea, as both Tara and I ended up liking it. A lot. It’s an unofficial prequel to Alien, so if you’re into that sort of thing (coughDadcough), check it out. I guess I should start taking people’s recommendations more seriously. I usually do end up liking whatever it is they suggest. And worst case, if I’d found Prometheus awful, I’d have simply told Kimberly it was “interesting” and nobody would be any wiser. Yes, it does seem like people use the word ‘interesting’ with a hint of sarcasm. And I was glad I read about shark attacks on Maui after I returned home. Scary sh*t! My dad was swimming in the ocean in Florida one time and I guess a shark was spotted nearby. Too close for MY comfort, that’s for sure! You should read “They Rise” by Hunter Shea. Great book for the beach! Ghost sharks?! Thanks for the recommendation. I’ll check it out! Oh, it’s so much more than just ghost sharks. 🙂 Hehehehe. 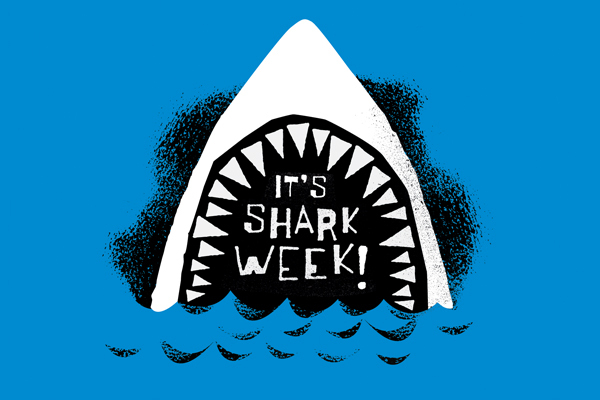 For lawyers Shark Week is every single day. We’ve had a couple of attacks off the coast again this year, although not the numbers from last year. Personally I think Animal Planet a / o Discovery have brokered a deal with the Global Shark Lord (cause you know that animals that stopped evolving millennia ago have established a hierarchy). You take a bite out of the occasional random seafarer during peak Shark Week promotion, we’ll only monitor a handful of your chosen slowest. Definitely. They especially like to make an appearance just before I go to the beach as well. I keep telling them I don’t need the additional incentive not to go into the water, but I guess they like to make doubly sure. By the way, I tagged you in a game of happiness tag (http://alliepottswrites.com/2016/07/07/the-happiness-tag/). Don’t feel you have to participate if these sort of games aren’t for you, but I just really like your writing and wanted to share. Hey friend! Your Shark Week idea is a good one although I have never really gotten into it so I cant really say how good the entertainment is there. I wanted to ask you, have you seen the Carpool Karaoke with James Corden and Hamilton? The minute I saw it I thought of you and your post. If you havent seen it already you need to check it out and let me know what you think! Yes, a friend sent me a link to the carpool karaoke. Great stuff! The guy in the red shirt really gets into it. I need to channel his enthusiasm (and talent). HA! Mark, I know what you mean because I saw Jaws when it first came out as well, however, my family had just moved to Florida, where we lived only two miles from the beach. You have no idea how much that movie made me very apprehensive to NOT go near the water! Love that pic of Anthony, the expression on his face is priceless! I failed to mention that we moved to Hawaii a few years after Jaws came out, and still ended up swimming all the time. I guess by then the terror had faded. ‘Interesting’ is what I say about ugly babies. I am with you on when to show Shark Week, though I do love the shows, they are these days so weird. I love that lake and the entire Mt Rainier area. I always look for the mountain when I fly into Seattle, knowing when I see it I am close to landing. LOL. Remember the Seinfeld episode (“you have to see the baby!”)? It made it okay to admit that not all babies are adorable little balls of fluff. Well, regardless. You get my point!